PRINCE & 3RDEYEGIRL Throw Ultimate Pajama Party & Serve Pancakes Too! 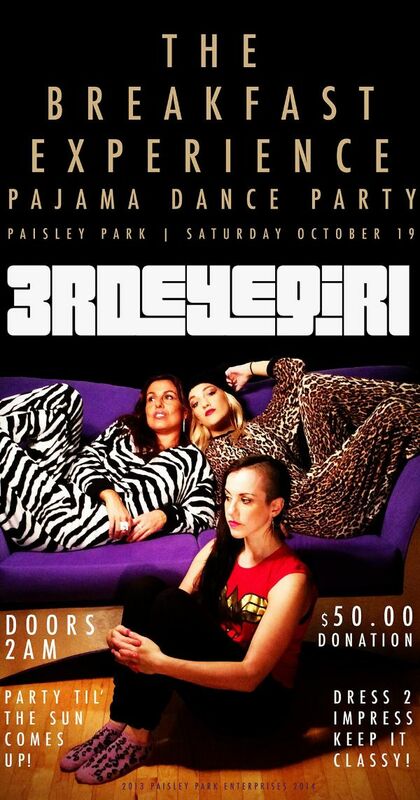 19 Oct PRINCE & 3RDEYEGIRL Throw Ultimate Pajama Party & Serve Pancakes Too! PRINCE & 3RDEYEGIRL threw the ultimate pajama party at Paisley Park this morning complete with TWO performances, “The Breakfast Experience” remixes, the “Breakfast Can Wait” video AND…yes…pancakes were indeed served! The night started as a dance party and then Dani Curiel came out to talk about the video “Breakfast Can Wait” with the choreographers in attendance with her as well. The video was played along with the behind the scenes video that was shown after like it was at Monday’s party in Hollywood. They did play at least 4 remixes from “The Breakfast Experience” remixed by Joshua Welton. Then 3RDEYEGIRL took the stage with this musician named PRINCE. You guys hear of him? For both shows set lists and more, click here!!!! The first set list featured these songs. At the second show (Can you believe after last time, people did not stay again) PRINCE & 3RDEYEGIRL rocked the sampler set. “Shockadelica” was played and during several songs was saying purring “Number ones) while playing “Alphabet St.” & “I Would Die 4 U” along with others according to Sara S. on our Facebook Fan Page. Twitter blew up about the show instantly! #Prince's bass solo during encore at #paisleypark would have made Les Claypool proud. Heard he can play 40 instruments. It's probably more. Diagnosis: Sounds like an amazing, amazing time! P.S. if you were at show, and can fill in the set list and share your experience, please do! http://www.princevault.com/index.php/Crimson_And_Clover incl. http://www.princevault.com/index.php/I%27ll_Take_You_There bass interpolation . instrument performing on this song. There was an hour long intermission between the main set and sampler set. Many of the attendees already left before http://www.princevault.com/index.php/Prince came back out around 6:15. Just a SUPERB night in the history of music! Prince with 3rdEyeGirl prove again that they r the hardiest working band, EVER!!! Thank you Doc for posting these snippets ~ so that’s what rockin out in the wee hours of the morning looks and sounds like! One nation under a groove, getting down just for the funk of it! I am sorry I missed this jam..but I am very thankful for the posted videos…Thank you Prince, 3EG and Dr. 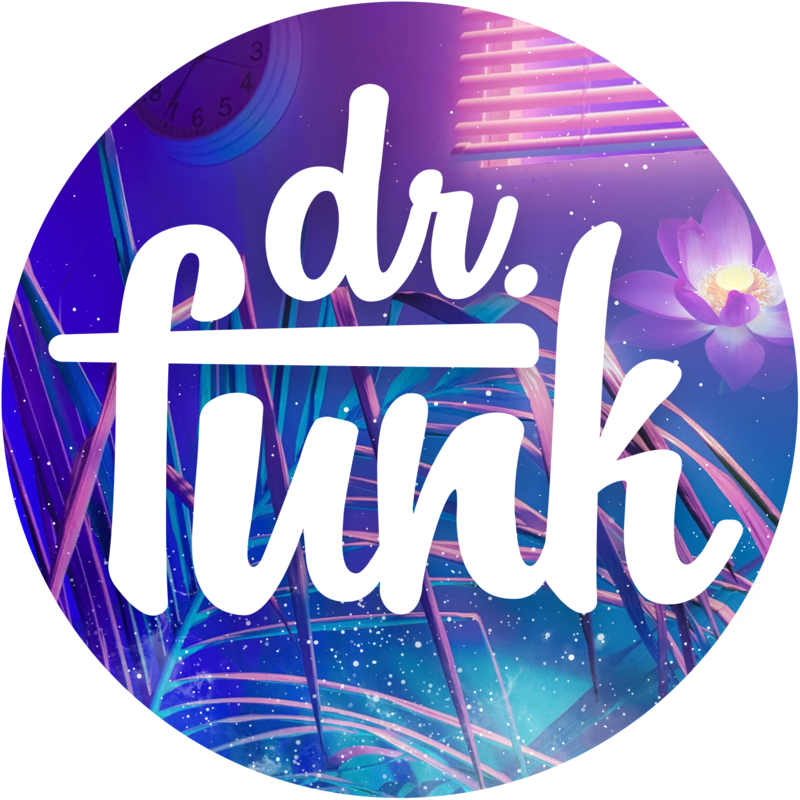 Funkenberry!!!!!!! Might be leaving Costa Rica so I can be closer to Paisley Park!